Blog | Devyn Dippel | A few samples of yours truly. Family photo from this summer. Boyfriend, Jax and Me. It’s been entirely too long since I’ve written on here. Life, it just gets away from you, ya know? Also, I always feel like I need to write about something profound, timely or motiving, but now I think I’ll just write about whatever’s going on in my life. It seems more genuine and I’m also more likely to keep up with it. If you don’t like that then, meh. Let’s see, since July life has happened. There’s been the normal changes – work stuff, family stuff, personal stuff. I am a planner, or so that’s what I say. It might really just be a cover up for constantly worrying about the future. I’m not quite sure. I know I plan extremely far in advance. I mean, I usually have a good chunk of my Christmas shopping completed, or at least planned out, by mid November. There are times, though, I’ve asked myself if I was missing out on something. Would somehow I be happier or live a more fulfilling life if I was more spontaneous? There was a special guest at the Billboard Music Awards last night — Michael Jackson. The King of Pop returned to center stage as a hologram and performed “Slave to the Rhythm.” He, the beams of light that resembled Michael Jackson, danced on stage with real, human dancers. The crowd sang along, cheered and some even cried. The reactions? Some have said it was creepy, some have said it was cool and some have said it was both. I personally think it was mix of creepy/exploitive/disrespectful. The fact that Michael Jackson died not even 5 years ago makes this way too soon in my book. I don’t mean for this to sound cold, but when someone is dead, they are gone, and that’s how it should be. They live on in memories, but that’s it. In my opinion, if I were to see someone who had died that I knew personally come back to life as a hologram, I would freak the heck out! It’s just too weird. Also, I feel that presenting a hologram at an awards show is not a “tribute.” It was meant to shock and awe — and it worked. More people are talking about the Billboard Awards now than ever before. If they had used a different deceased musician would it have had the same impact? My guess is it probably would have. That alone tells me this wasn’t a “tribute,” it was just to get attention. My main problem with this performance is that by making Michael Jackson into a hologram, they have made him less of a human. Since they can just remake him as a performer to appear whenever they want, it separates that aspect of him. By singling out that side of Michael, it makes him less of a human being and more of a entertainment piece. It’s important to remember that he, like all celebrities, was a human with a life outside of the spotlight. I feel it is important that we respect that and respect people as a whole. They have passed away and it is not our place to choose what aspects of their lives come back on a whim. 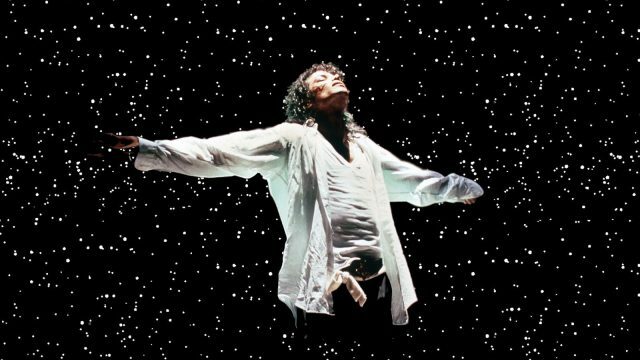 Michael Jackson, like all who have passed, was a human with a life and a soul. He was not living just to entertain, so why should he be just entertainment after he’s gone? I know that a lot of people don’t like to make a big deal about their birthday, and I get that, I don’t either. I don’t think a birthday needs to be a huge bash for it to be a “good” birthday. But, by all means, if you like huge parties, then go for it. What I really like about birthdays is just being with the ones who matter most to you and enjoying their company and the day. What I love about other people’s birthdays is doing little things for them. I think that putting thought and effort into something speaks much more powerfully than something done solely for extravagance. I honestly feel that I love my loved ones’ birthdays because it’s a chance for me to really let them know how much they mean to me. Even if I don’t get to see them, it’s a reminder to let them know how glad I am to be a part of their life and how lucky I am to know them. Birthdays signify a new year for them and always excites me to see what’s in store for their future and I love it. Birthdays remind me that I’m surrounded by wonderful, genuine and amazing people and I love it. Birthdays are an excuse to convey these mushy emotions in the form of a racetrack cake and I love it. I recently saw this list floating around Facebook, and while it does have some useful tips, they aren’t going to change my life. Don’t get me wrong, I love chocolate chip pancakes, but lists like these — and there are a ton of them out there — make girls seem so general and superficial. And I’ve seen these not just for girls, but for college students in general or for 20-somethings. I just don’t understand this phenomenon. Recently, I made the decision to leave my hometown of Austin to move to San Antonio. My boyfriend was offered his dream job, so he asked me to go along with him. And I hate saying that — boyfriend. It sounds so juvenile. We’ve been together for going on six years, but I guess “boyfriend” is still the technical term. Anyway, after sending out my résumé to a few places, I was able to land a great job. That was the final push for me. I agreed to leave Austin behind.